Would you say a dormitory is a dirty room? Well, we won’t comment on the housekeeping habits of college students, but we’ll note that the word “dormitory” is an anagram of “dirty room”. Both use the same letters in a different order. In the same vein, you could say a “dictionary” is an “indicatory”. These are everyday words, but this week we’ll pick five uncommon words and, besides giving their regular definitions, also describe or define them using anagrams of them. What other words can you describe or define with anagrams? Share them below or write to us at words@wordsmith.org. To get inspiration, visit the Anagram Hall of Fame. To help with anagramming, use the Internet Anagram Server. verb tr. : To make antiseptic. 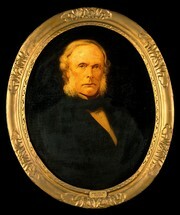 Coined after Joseph Lister (1827-1912) surgeon and a pioneer of antiseptic medicine. Earliest documented use: 1888. Besides this word, some other things named after Joseph Lister are Listerine (originally a surgical antiseptic), the bacterial genus Listeria, and the slime mold genus Listerella. Macao Receives Safety Warrants from Mainland Poultry Exporters; Xinhua News Agency (Woodside, New York); Feb 11, 2004.